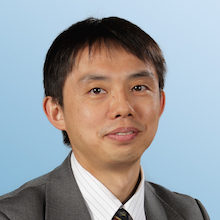 Hiroto is a partner from our Tokyo office and core member of our South East Asia operations. His main field of expertise is providing support for business and technology strategy planning in automotive, industrial machinery, electronics, chemicals and other manufacturing industries. Other themes include organizational and operational reform design, as well as production, distribution and intellectual property (IP) management strategy. In addition, Hiroto has extensive experience conducting business valuations, revitalization planning, growth-strategy planning and turnaround projects for financial institutions and private-equity funds.